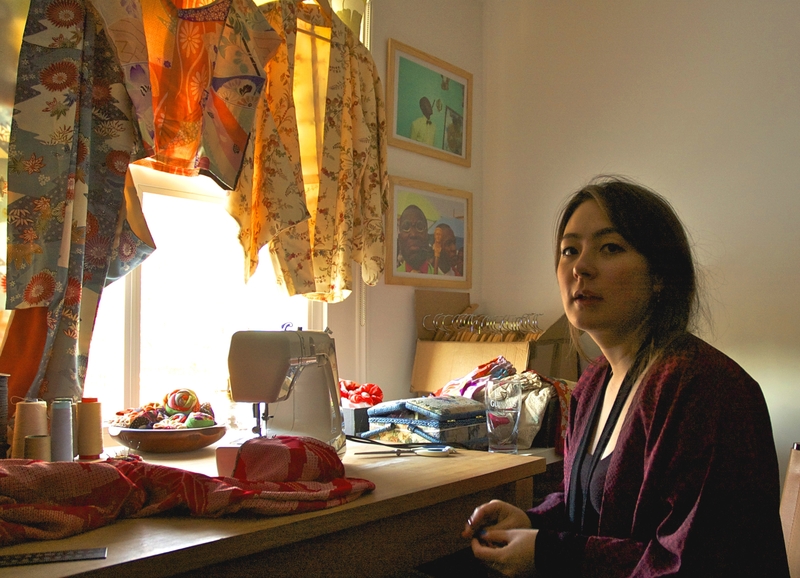 Born to a Japanese mother and English father, Yuki Dowding is a self taught seamstress who has inherited her mother’s talent for turning traditional, antique kimonos into modern clothes. Hand-sourced from Japan, the kimonos are pure silk, making Saura garments precious items to possess. Secret Garden Party, Womad and the Barbican are amongst the many festivals and markets the young designer has taken her new business. 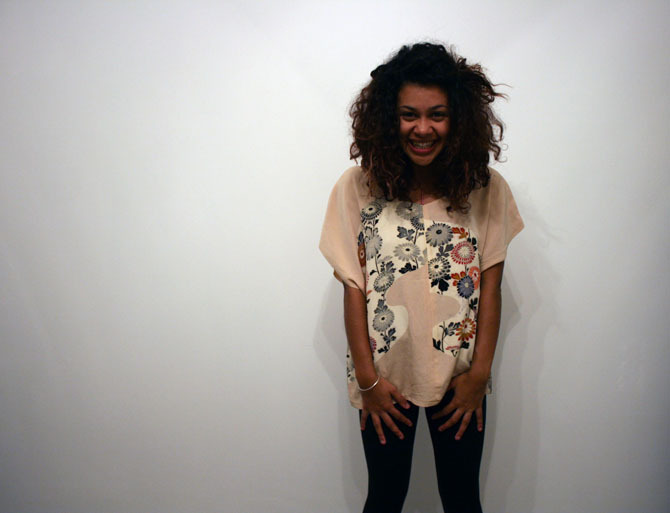 We caught up with this creative Londoner to delve deeper into her original venture…. What inspired you to use kimonos to make clothes? My mum used to make me and my sister our clothes as we grew up. 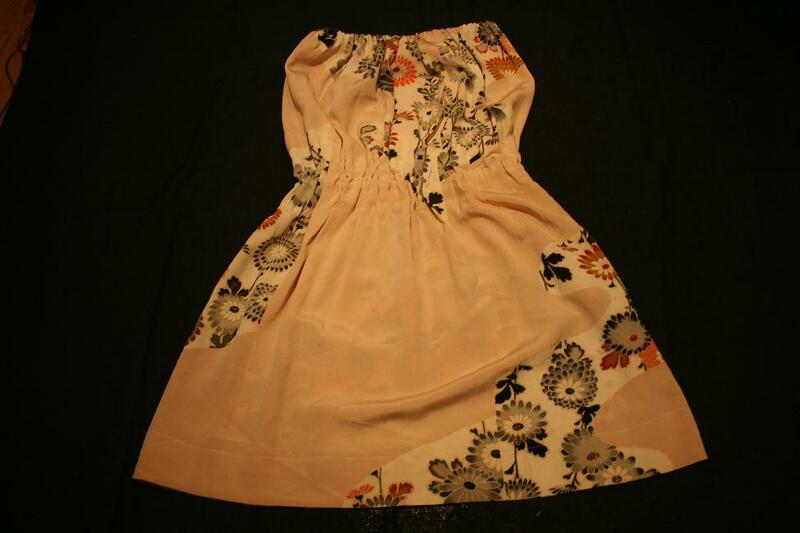 She started off making things for us for special occasions like cocktail dresses. It has kind of gone from there. I started to ask for certain styles, so we have supposedly been collaborating for a long time; just from my designs and her making them. But now I have taught myself how to sew and have been making my own stuff. I got to the stage where I preferred wearing my own clothes to what’s out there. No-one else had them and the materials are so beautiful; hand-made and hand-painted silks. They’re are all one-offs because they’re up-cycled kimonos which are all one-offs originally. So you don’t have any two items that are the same? Out of one kimono you can probably make a dress and a t-shirt. So there would never be more then two items with the same pattern. You don’t have any formal design or tailoring experience? No, that’s the way my mum has always done it, instinctively. Luckily with sizing, because of the way the silk falls you can actually have everything quite baggy and it falls really nicely. So it’s done completely on instinct. Can you briefly describe the process of how you turn the kimonos into clothes? Kimonos come on one roll and are often made on a loom. The pattern is either woven in or hand painted, and the roll of material is then hand sewn to form a kimono. Then I have to undo the kimono so it’s always in strips of 30 cm and then rework it by unpicking the whole thing, washing it, ironing it and then remaking it, always with that width. So that constricts what you can make. Then I use the off-cuts for scarves, head bands, accessories and jewellry. You have been selling at markets and festivals. Do you enjoy that independent, personal method of selling or would you someday like to be more commercial? I really like selling at markets and festivals because you meet so many people and you get to know the people, them buying and liking the stuff is very rewarding. You feel a connection and it makes it all worthwhile. I’m not in this for the money, it’s more of a glorified hobby, the clothes are unique, if people like them that’s great. Have you got any markets coming up? What are your plans for 2012? I’m experimenting with markets around London. I’m starting to learn that for this kind of clothing there’s a lot of good stuff in East London so I’m going to look into that and probably trade there. Hopefully do Portobello Market on Fridays. I’m just experimenting, going to more markets myself, seeing what kind of people go there. I’m excited about this year because I’m learning more and more about each market I do and I’m getting a better idea of what works and what doesn’t. I would like to start doing some regular markets so people know I’m there rather than trying out lots of different ones. Hopefully doing some more music festivals this summer as well because that’s really fun. I’m also in the process of putting stuff up on my website.